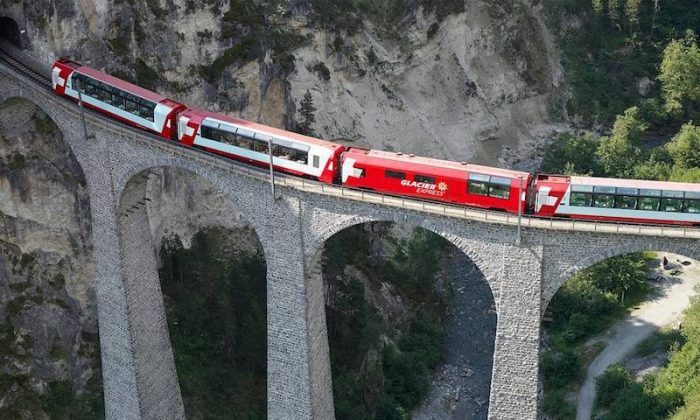 Bernina Express, Switzerland: We can wax lyrical about the glacier-capped mountains, waterfall-draped ravines, jewel-colored lakes and endless spruce forests glimpsed through panoramic windows on Switzerland’s Bernina Express but, trust us, seeing is believing. 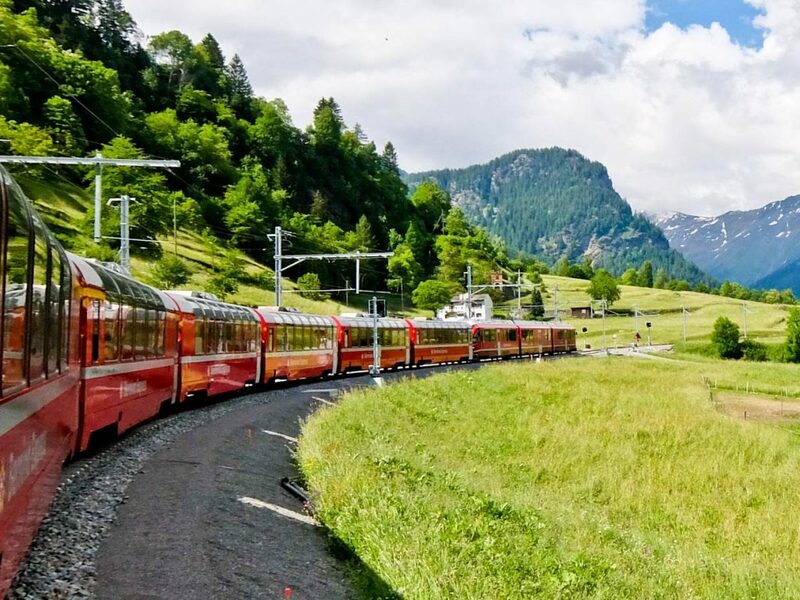 Rolling from Chur in Graubünden to Tirano in northern Italy in four too-quick hours, this narrow-gauge train often tops polls of the world’s most beautiful rail journeys. 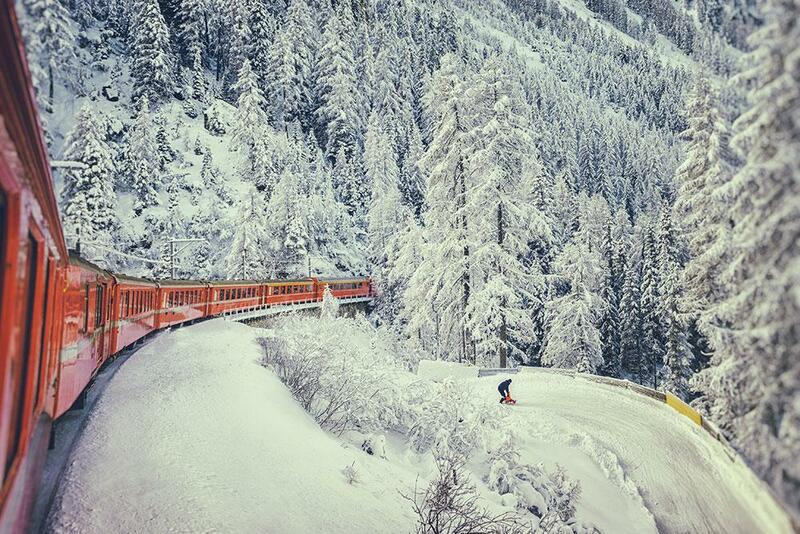 Beyond the phenomenal Alpine landscape, the railway itself is a masterpiece of early 20th-century engineering, taking 55 tunnels and 196 bridges in its stride. 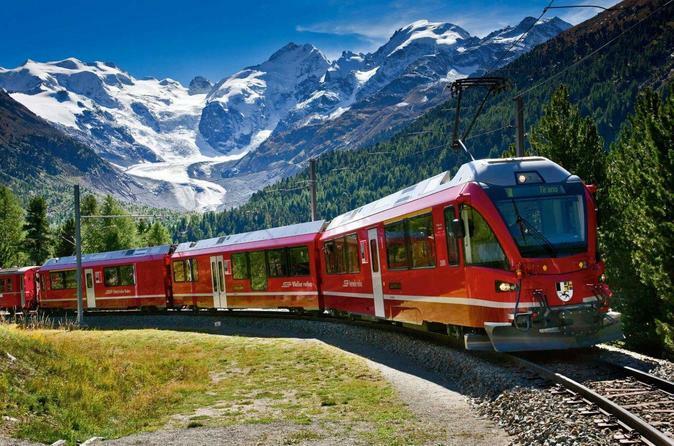 Glaciers, alpine lakes, big mountains, gelato, cappuccino and more on the Bernina Express, Switzerland’s most downloaded GPX route. 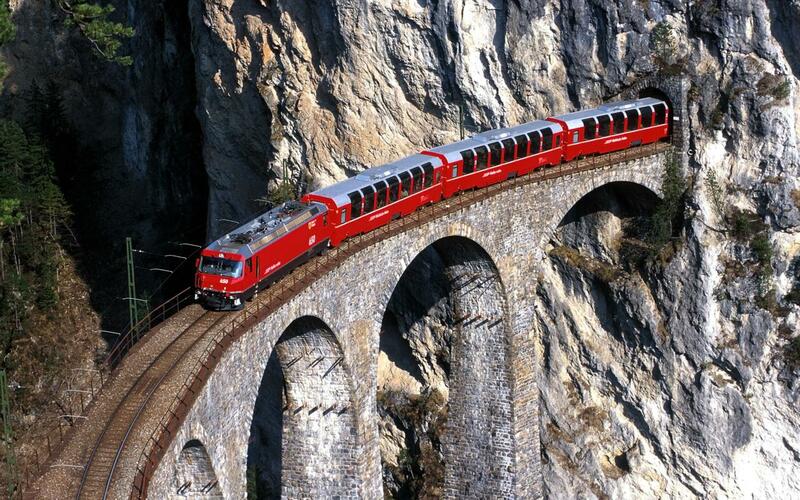 And there’s a train shuttle to get to the top! 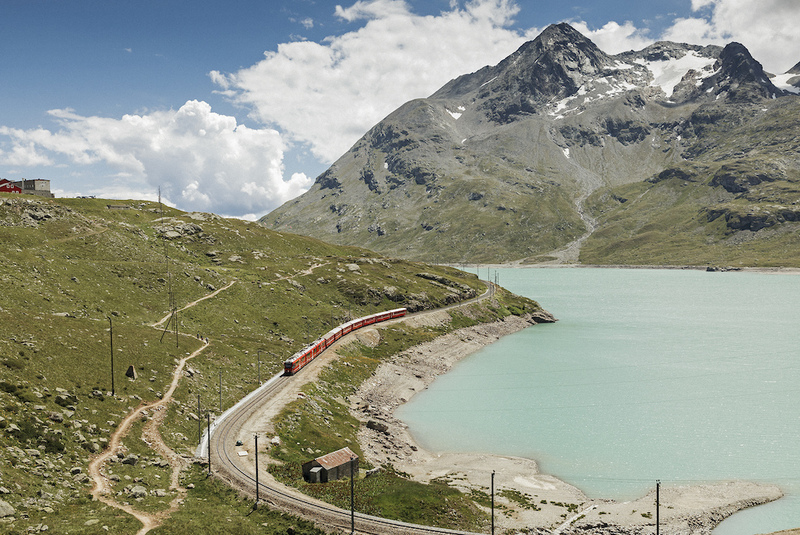 Linking Northern and Southern Europe, the Gotthard Bernina Circular Tour is the most spectacular way to cross the Alps by rail.